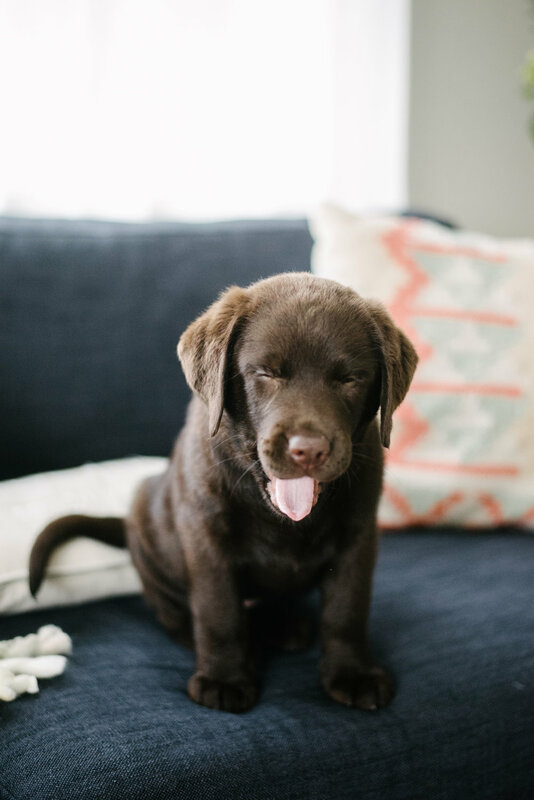 Skye | English Chocolate Lab Puppy — Hello Suitcase! 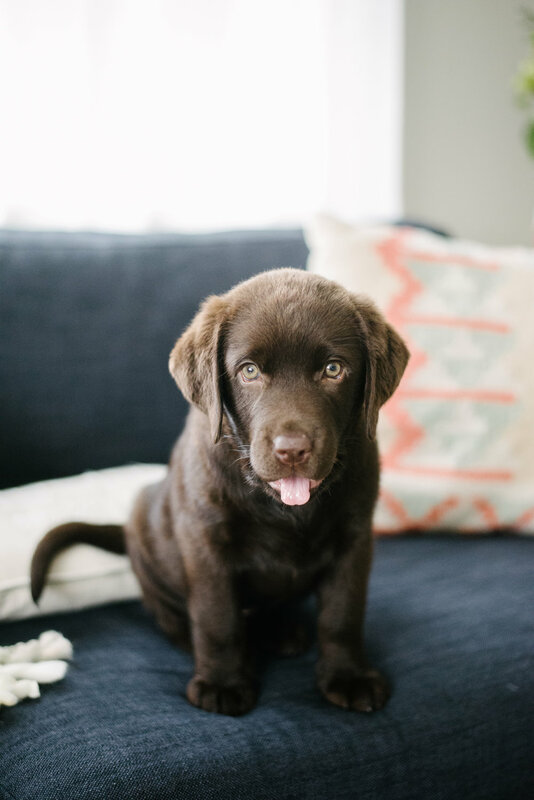 This little chocolate munchkin is Skye, our English Labrador puppy! Her name was inspired by a glorious sunset that my husband and I both experienced the week before. We adopted her when she was 8 weeks old on November 29th, 2017 and she's an absolute sweetheart. Sure, she has her "crazy dog" moments, but she's also intelligent, confident, and crazy-good-looking, Right now she loves belly rubs, chewing on her stuffed polar bear (Huggy Bear), baby carrots (and eating them in her special corner), and she loves finding anything she can fit in her mouth and chew on (e.g. hands, shoes, sweaters, socks, plants, plastic bags, etc.). When she's not insanely hyper or destroying Huggy Bear, she sometimes indulges me and poses for photos. Here's a few of my favorite shots!